Winter break is a much needed hiatus after a long semester of exams, projects, studying, papers, etc. It's tempting to sit around and just do absolutely nothing before the start of the new semester (which comes way too quickly, in my opinion). Don't get me wrong here -- You definitely SHOULD spend some time doing absolutely nothing over break and just decompressing after the long semester. 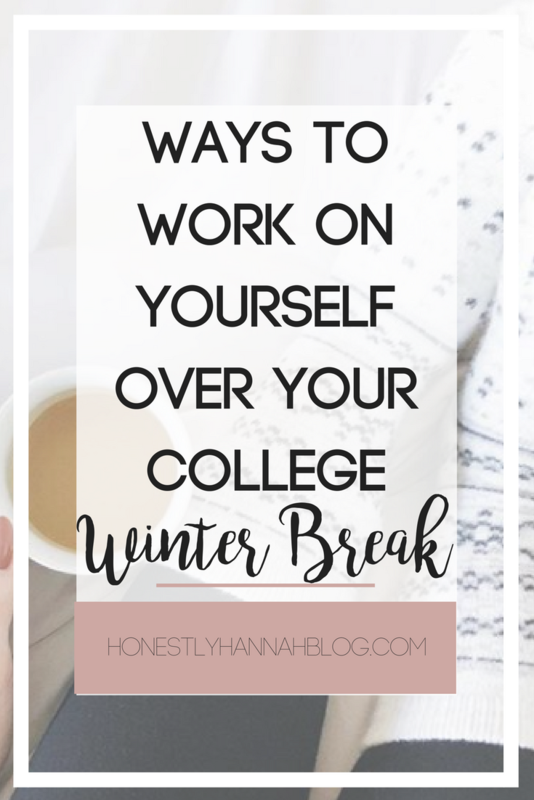 But, there are a lot of ways that you can work on improving yourself (and even advancing your own career) over winter break. I know it might seem early, but summer internships fill up fast. Try to start searching online for open internships for the upcoming summer. The earlier you start, the better! This will save you a ton of stress later when you're trying to survive midterms while juggling the internship search. If you already have your application submitted, you'll be way ahead of the game. Plus, January/February is usually the time when summer internships start getting posted online. Let's be honest, a lot of us probably fell off the wagon, because fall semester is always a bit of a shock. December can be difficult with the weather getting cold and finals coming up, so if you took a bit of a break from working out, use your free time over winter break to start getting back into shape. That way, you'll already be in the routine when you head back to school in January for spring semester. Personally, I love doing yoga, especially during the winter. I don't even have to venture outside into the cold, and it feels amazing! 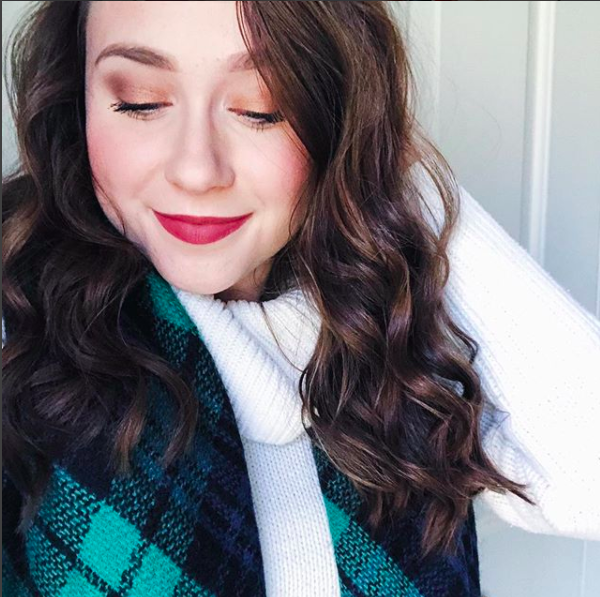 You guys - Blogging literally changed my life. The winter break is the PERFECT time to get your own site up and running. I have an entire post about starting a blog that explains the process in-depth from start to finish. It can seem like a daunting task, but it will be so worth it. Starting a blog gives you an outlet to share you ideas and interact with people with similar interests... and people with completely different interests! The internet is truly amazing, and the options are endless. One of the best things you can do to better yourself over winter break is to actually give yourself a break. The semester was likely long and finals were likely ridiculously stressful. This is YOUR TIME to watch that Netflix series you've been waiting to watch, or just lounge around with a good book. 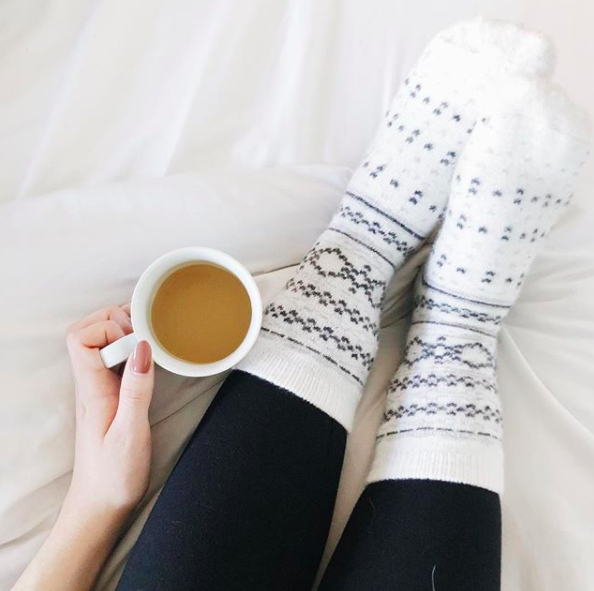 There's nothing wrong with a bit of relaxing - just be sure to get up and do something productive over break too. You'll feel so much better! I plan on getting into a workout routine over winter break. I'd like to join Classpass for a few months to help me find my favorite workout classes.